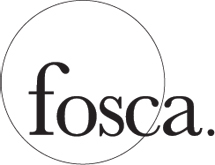 Fosca was founded in 2006 and became a cultural association in February 2008. The Fosca project is being constantly redefined and aims to create spaces for exploring and reflecting on contemporary culture through performance and visual art. Fosca is a set of collaborations and experiences with constantly changing themes, languages, territories and disciplinary fields. It is a mental space that manifests itself in concrete actions, artistic research and the study of languages of contemporaneity; a project of artistic creation, production and promotion of shows, workshops, events, moments of study, exhibitions, publications and radio broadcasts. Fosca’s original creative intention was to revisit the artist’s role within the social fabric and in authentic relational encounters between people. Behind this attempt is the ethical and political conviction that there is a fundamental need, especially in contemporary society, to create places where one can still have experiences, traverse meanings, and arrive at consciousness in different ways and formats. There is clearly a forward-focussed need to move from a physical fulcrum –already an archaeology and a mental space – and to project, resound, and launch artistic processes through which communities – the stratifications of our contemporary situation – can reflect on themselves. 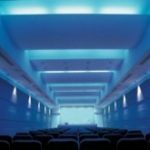 In the duration of another time and in the proposed space, Fosca finds generative possibilities that feel modern and relate to change, disruption and access to the new; a horizontal diffusion between public and private, intimate and declared, ordinary and extraordinary, work and play.